3M 8934 9 mm x 55 m Tartan Filament Tape is 3M's general purpose clear fiberglass-reinforced tape. 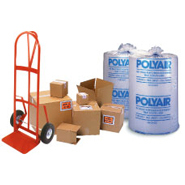 It includes a synthetic rubber resin adhesive that is great for light duty strapping, bundling and reinforcing. 3M ID 7000123438 3M 8934 9 mm x 55 m 4 mil Tartan Filament Tape has a synthetic rubber resin adhesive that provides good adhesion to most fiberboard surfaces, and many other plastic and metal surfaces.